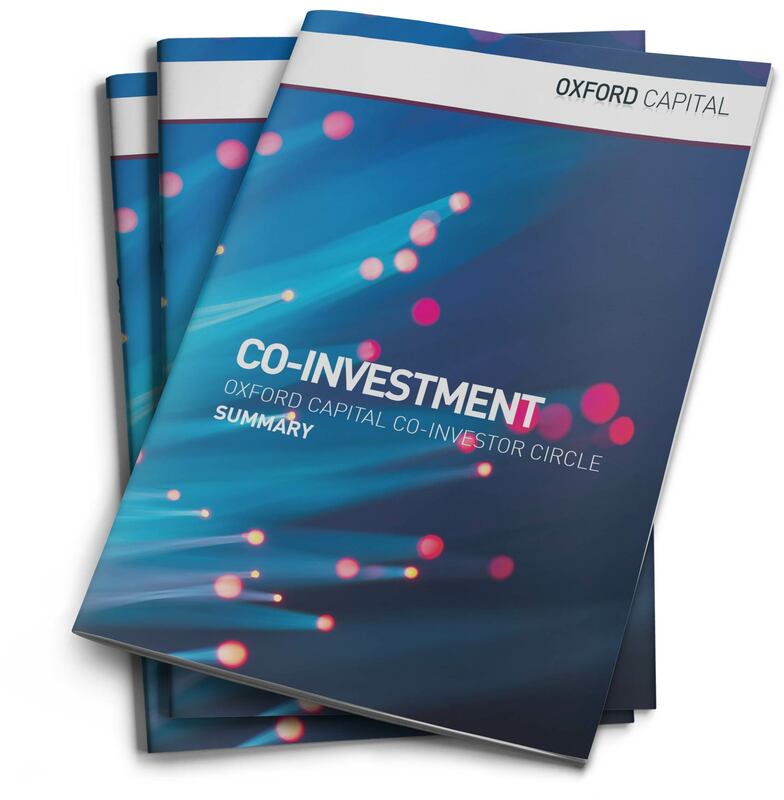 Join the members of our Co-Investor Circle to view our current investment opportunities. Oxford Capital Co-Investor Circle has claimed the prestigious Best Angel Syndicate trophy at the fourth annual Growth Investor Awards, organised by Intelligent Partnership. The award was presented on November 7 at a black-tie gala dinner for over 450 leading lights from the UK’s vibrant SME investment community. Commenting on the victory, Richard Roberts said: “It is great to have recognition for our Co-Investor Circle. We work hard with every investee company to demonstrate that our investments can be measured in more than just capital terms”. The judges praised the winner for investing in disruptive businesses and the unfailing support for investees, which resulted in impressive growth. They were also impressed with a strong network of expert angels boasting an impressive number of deals of a significantly larger calibre than other entrants. The Best Angel Syndicate award honours recognised angel syndicates while highlighting the crucial role angel investing plays in the SME investment ecosystem. Entrants had to provide clear evidence of offering investment at crucial stages of investee company growth. Above all, the judges looked for measurable impact beyond investment through syndicates’ invaluable support, experience, and strategic direction to investee companies. Visit growthinvestorawards.com/winners2018 for details of winners and runner-ups in all 15 categories and a full coverage of the Growth Investor Awards gala. Launched in 2015, the Growth Investor Awards have rightly become a major focal point in the UK’s SME investment community calendar. The awards celebrate companies and individuals involved in putting investment to work in high-potential businesses. They honour those providing or helping to source investment and leading players that are helping to optimise growth capital for scaling UK companies.